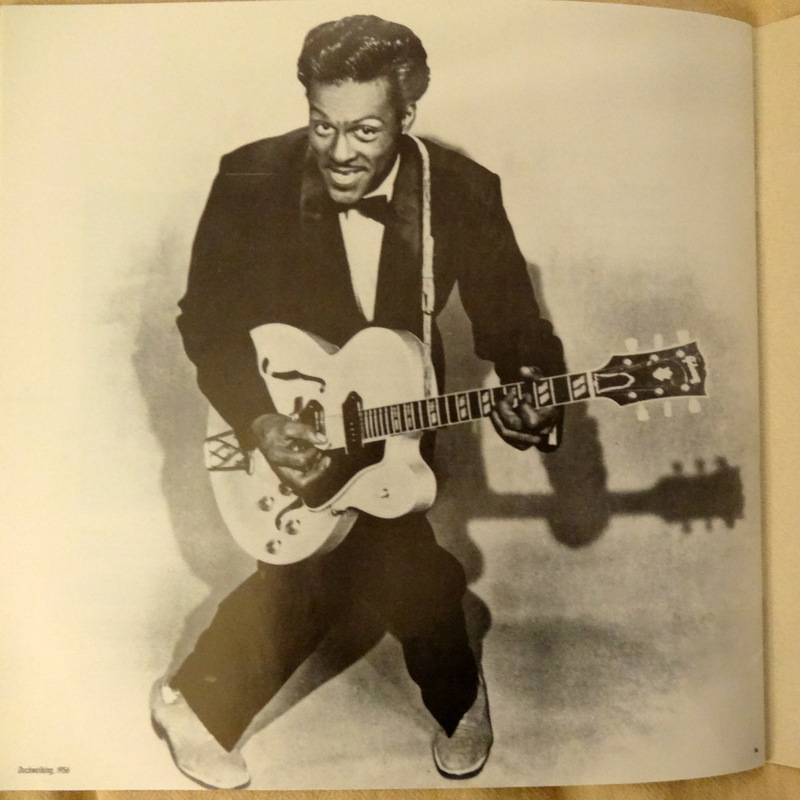 When Chess Records released The Chess Box in 1988, Chuck Berry was enjoying one last major revival in a career that began with a reform school quartet in the mid-1940s and will continue beyond his death at age 90 on March 18, 2017. How is that possible? Well, the legend had one last album, Chuck, ready to drop sometime in 2017–he just hadn’t quite gotten it out there yet. Capitalizing on the interest of Berry following both his 1985 Hall of Fame induction and the success of the Hail! Hail! Rock ‘n’ Roll film and soundtrack was a natural for Chess, and the collection’s 71 songs and 56 page booklet did the great man proud. 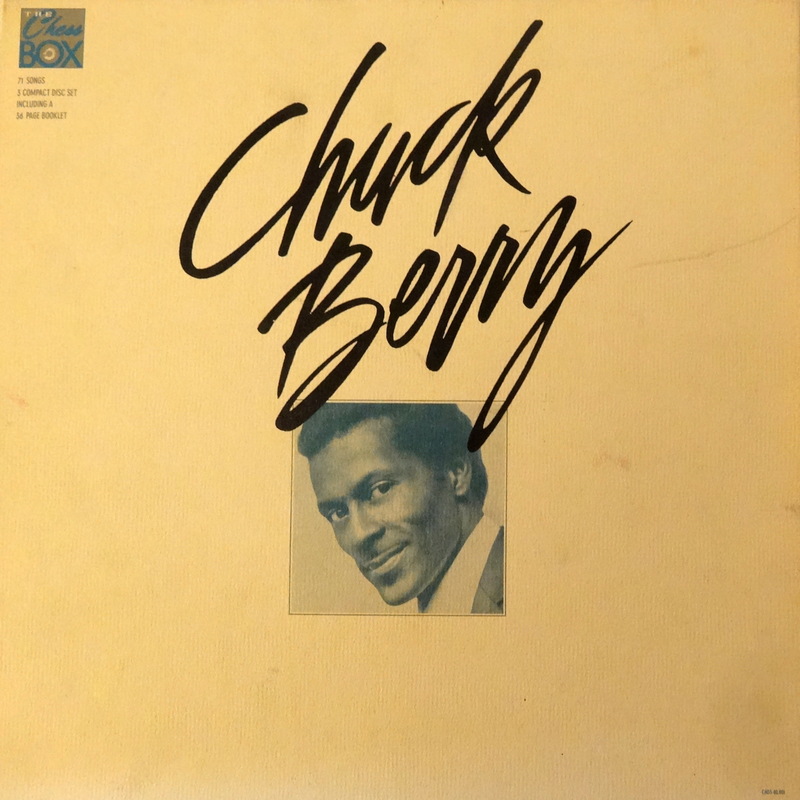 The track listing runs from his first Chess single, “Maybellene,” recorded May 21, 1955, through the unfairly forgotten “Woodpecker,” recorded at the tail end of the guitarist’s first revival in 1973. Keep in mind that this is a Chess box–none of Berry’s Mercury output from the ’60s is collected here, but that doesn’t matter, really. This is all the Chuck the average listener needs and then some. While The Chess Box wasn’t Berry’s first Grammy, it picked up the 1990 trophy for Best Historical Album. That makes it worthy of a spot in your collection. 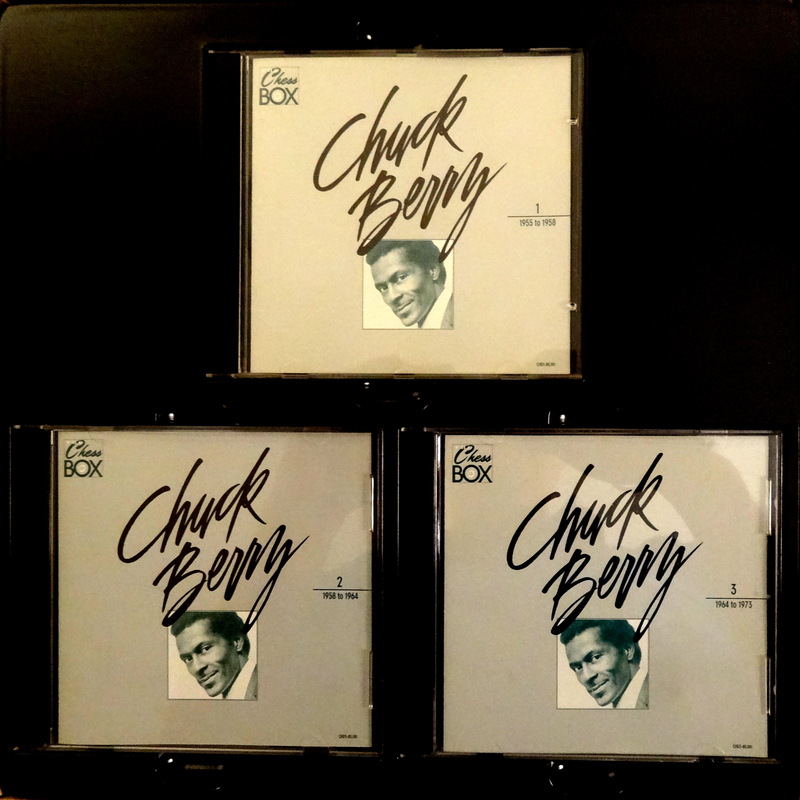 It also includes two previously unreleased tracks: “I’m Just A Lucky So and So,” and “Time Was.” Both are mid-tempo numbers that are from classic Berry, but “So and So” has a nice bluesy feel to it. Anyway, if you’re one of those folks who waits until an artist dies to declare yourself a huge fan before going on the hunt for a greatest hits package, The Chess Box is your huckleberry. Originally a CD and cassette only release, Chess released a vinyl version in 1990. You can expect to pay 60-80 bucks for that, or around 20 bucks for a used copy on CD. If you’d rather have a new CD copy, it’s still in print. That’ll run you about 40 bones. Happy hunting, and hail hail Charles Edward Anderson Berry. I’ve never understood why “Dear Dad” and “Little Queenie” didn’t chart higher than they did. Both are easily in my Chuck Berry Top 10. 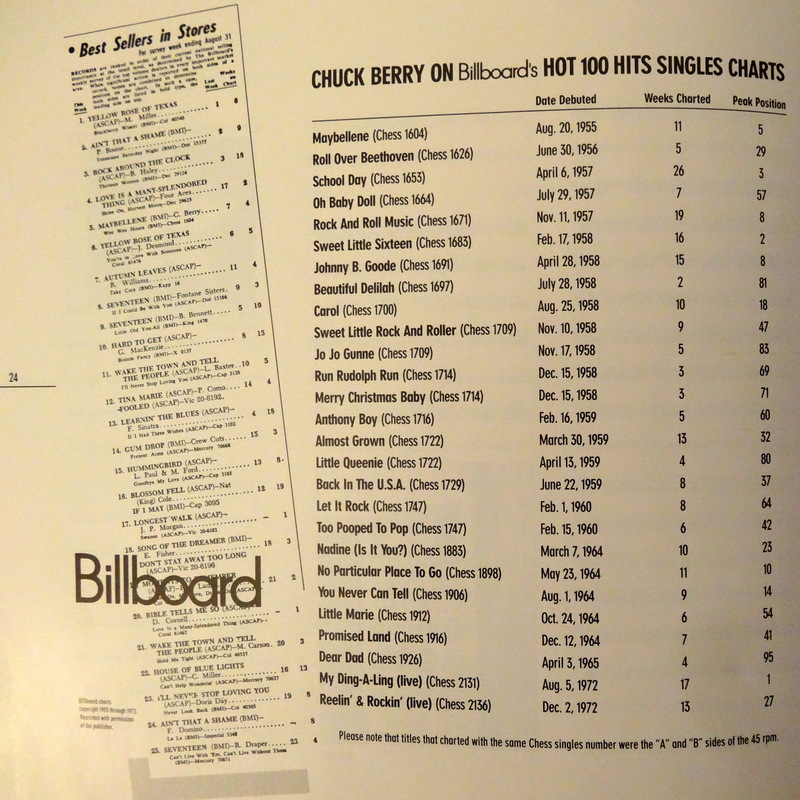 @Robbo – they didn’t chart higher, because of people like me who hasn’t given Chuck Berry a thought in 20 years. Doesn’t mean I didn’t like him, but he, like Little Richard, started falling into the “camp” category. Both he and Little Richard deserves every accolade you all are putting out there. I wasn’t into that particular category of music when it was at it hottest. I was busy listening to Patsy Cline. Don’t get on my dress…..just my taste. Much love and respect for Ms. Patsy. No shame in that game.